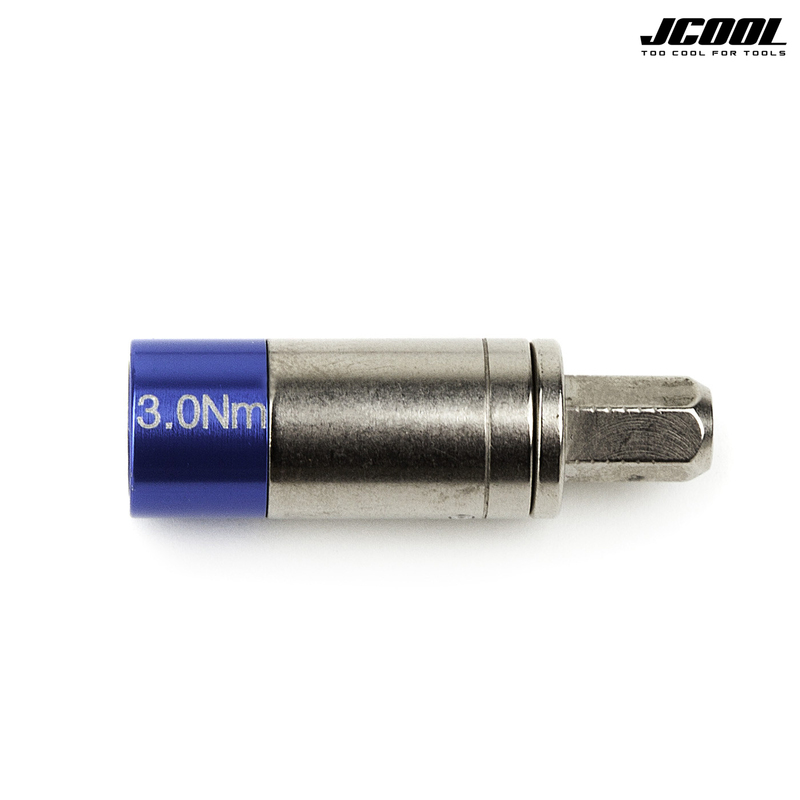 The fantastic JCool pre-set Torque Sleeves add the icing on the JCool cake. Currently included in the range are: 3Nm, 4N, 5N, and 6Nm pre-set sleeves. Simply put the sleeve in posiiton on the tool of choice and then insert your required bit into the torque sleeve. Tighten as usual and at the pre-set tolerance the tool will simply slip in the sleeve thus making it impossible to over tighten the bolt or screw you are working on. These are a great investment for anyone with any carbon components on their bike requiring any of these pre-set tolerances.